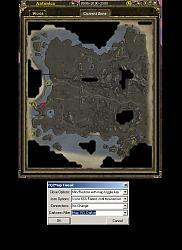 This file is a Addon for EQ2MAP - Manual Version [Official] by jnils. You must have that installed before this Addon will work. Allows you to tweak several aspects of the eq2map window.. There are 4 options types and only 1 of each type can be installed.. Copy contents of zip (1 folders) to an existing ui folder where eq2map is installed. Delete plugin5.xml from the eq2map folder. Delete the options folder from the eq2map folder. Then copy plugin5.xml from the zip or run the autoupdater. After installing you will have a folder named options in your eq2map folder..
under options and copy the contents to options to use an option.. There will also be an .exe file in your eq2map folder named EQ2MapTweak.exe.. It's a small dialog application that will do the copying for you.. I will help everyone I can when I can in this thread: Feed back is also welcome..